No matter where you live, the first week of 2018 has been very, very cold. Freezing temperatures are covering most of the United States causing damage in their wake. Next week is looking better with temperatures returning to their local averages. 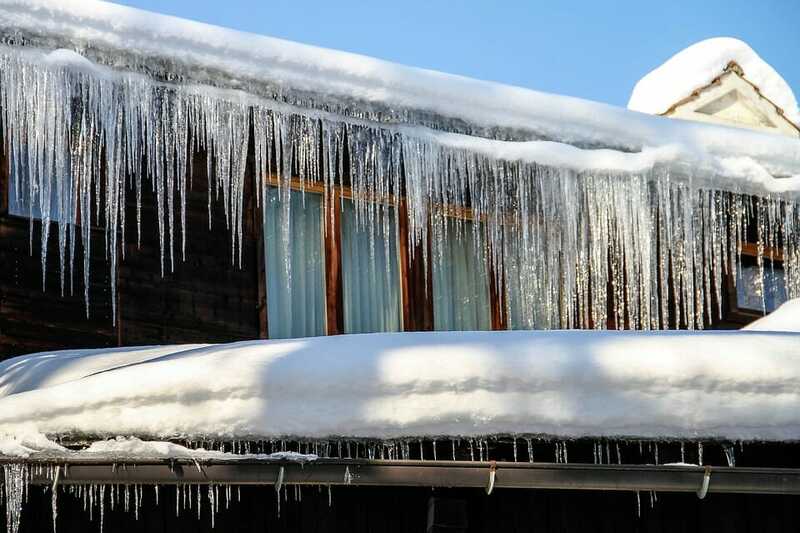 Unfortunately these types of thaws set up a very dangerous and damaging situation around your home and business – Ice Dams. Those beautiful icicles hanging from your gutters form when snow melts on your roof and the water runs down, accumulates and freezes in and around your gutter area. As the ice begins to accumulate it can also back up under the roof shingles – when this happens there is a very good chance that thawing will occur causing damage to your roof sheathing and worse yet, your interior dry wall. The weight of large ice dams can also damage your gutters, not to mention present a safety hazard to anyone walking under or near them. Wait! Why would the snow melt on my roof if it’s still freezing outside? Remember the space in your attic or the high ceilings is heated to a temperature above 32 degrees, which can then warm up the roof surface enough to melt the snow. Melting snow can also be caused by heat escaping around roof, ventilation and exhaust vents that may not be sealed or installed properly. How Do I Remove Ice Dams? 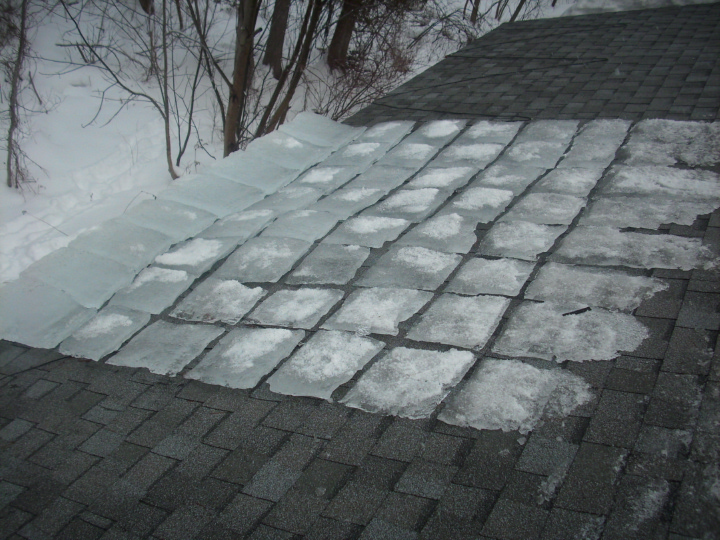 The safest and most cost-effective way to remove an ice dam is to call a professional! 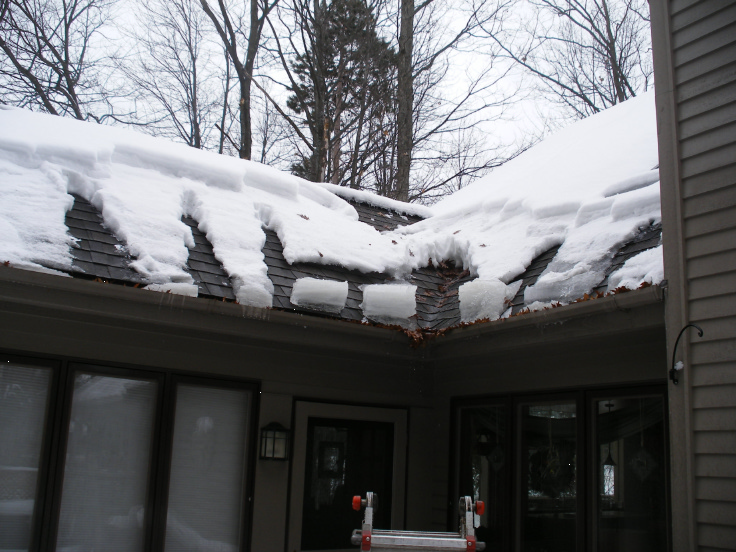 I am sure you are thinking “how can that be cost-effective?” To begin, if the snow and ice blockage isn’t removed correctly it can cause a lot of damage to your roof and gutters. And of course there is the most important reason not to do it yourself – the very high risk of falling, slipping and hurting yourself on a ladder or the roof. At Sparkle Wash we offer two options to protect your property and eliminate the threat of falling ice on your family or customers. Option #1 is to cut channels in the ice dams to allow the melting water to flow through thereby not backing up in to the interior of your home. Option #2 is the complete removal of the ice dam from your home. This is accomplished by removing the snow above the ice dam, melting vertical lines in the ice dam and then melting horizontal lines in the dam. The blocks of ice that remain are then removed from your roof. A typical job takes about one to three hours. Once the January thaw begins, please don’t wait to have those ice dams removed. Call your local Sparkle Wash Pressure Washing team before any damage occurs.